Be the first to share your favorite memory, photo or story of Huston "Pad". This memorial page is dedicated for family, friends and future generations to celebrate the life of their loved one. 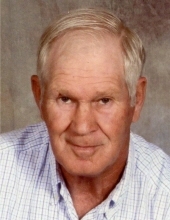 Huston Ball “Pad” Partin, age 77, of Huston Partin Road, Williamsburg departed this life on Thursday, November 22, 2018 at his home. He was born on July 9, 1941 in Wheeler, Kentucky to the late John Will Partin and Icevania (Keithley) Partin. He was also preceded in death by his brothers, Fred Partin and JB Partin; sister, Arlin Partin and niece, Patsey Brown. He is survived by his wife, Shirley Petrey Partin of Williamsburg; three children, Lavonda Stewart (Keith) of Berea, Timothy Partin (Jennifer) of Williamsburg and John Partin (Jessica ) of Kenton County, Kentucky; five grandchildren, Ashley Partin, Nathan Partin, David Baker, Tyler Stewart and Presley Partin; special nieces and nephews, Deborah Gray, Sherry Dean Collins, Jimmy Partin, Frankie Senters, Troy Allen Senters and Bernice Senters; special friends, Elmer and Beverly Petrey for always being there; and a host of other nieces, nephews, family and friends to mourn his passing. Visitation will be from 11:00 A.M. until the funeral hour on Sunday, November 25, 2018 at Croley Funeral Home. The Funeral Service will be at 1:00 P.M. Sunday, November 25, 2018 at the Croley Funeral Home Chapel with Rev. Bill Meadors officiating. Following the Service he will be laid to rest in the Joe Wes Petrey Family & Friends Cemetery on Brays Chapel Road, Williamsburg. To send flowers or a remembrance gift to the family of Huston "Pad" Ball Partin, please visit our Tribute Store. "Email Address" would like to share the life celebration of Huston "Pad" Ball Partin. Click on the "link" to go to share a favorite memory or leave a condolence message for the family.